These are our freebies. We're very happy if you like them and use them, but don't sell them and don't claim them as your own! You will be reported if you do. If you edit them, give us credit please. You can use these images to place in your profile. 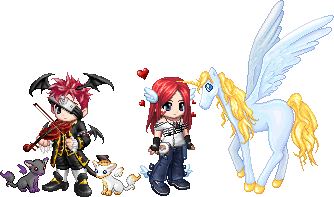 You can even place them near your avatar to make them look like they're part of it! The only thing we ask of you is to place a link to our shop somewhere in your profile. 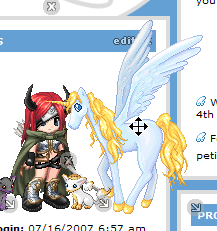 If you use the profile pets in your signature, link the image to your pet or to the shop if you do not own a pet. Then go to your profile and click on Edit my Profile Layout, located at the top of the page. Then paste the url of the picture into the URL box. You can use these to BUMP the topics, or just put them anywhere you like! Please leave the code as it is (linked to the shop).